We have recognised his two years of development, he adds a lot of speed to the team and we think he has a huge future with us. 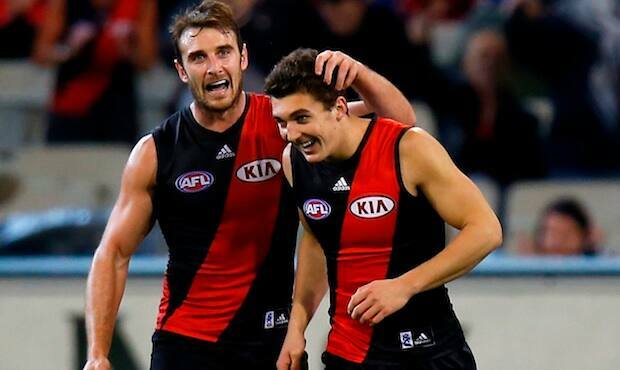 Essendon Football Club will promote rookie Lauchlan Dalgleish to the club’s senior list for the 2014 season. The promotion is a reward for Dalgleish who had a breakout second half of the 2013 season after making his debut in Round 21 against North Melbourne. The 20-year old added run and poise out of defence replacing the injured Courtney Dempsey for the final three games of the season. After two seasons on the Bombers rookie list, Essendon list manager Adrian Dodoro said Dalgleish had earned his position on the senior list. “We have recognised his two years of development, he adds a lot of speed to the team and we think he has a huge future with us,” Dodoro said. The Bombers will enter the draft with selections 26, 55, 66, 102 and 120, one of which will be used to promote Dalgleish.